What a wonderful joyous series of photographs! Thanks for the Link-Up. What a pretty cardinal and what a through bath he took in your birdbath! I love all your photos, Sue! Hi! Very beautiful and very cute. Nice shutter chances! Wonderful images, joyful and lovely! I think cardinals visit our bird bath more than any other bird. Wow !! What a beautiful serie of photos !!!! What a beautiful bird! Great photos! 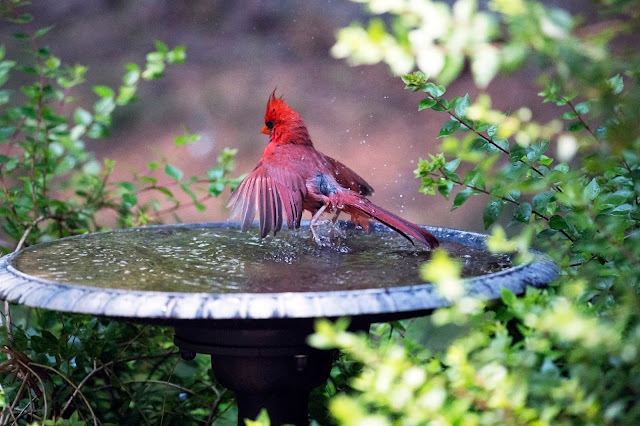 We have lots of Cardinals in Kentucky. I think they are a beautiful bird. 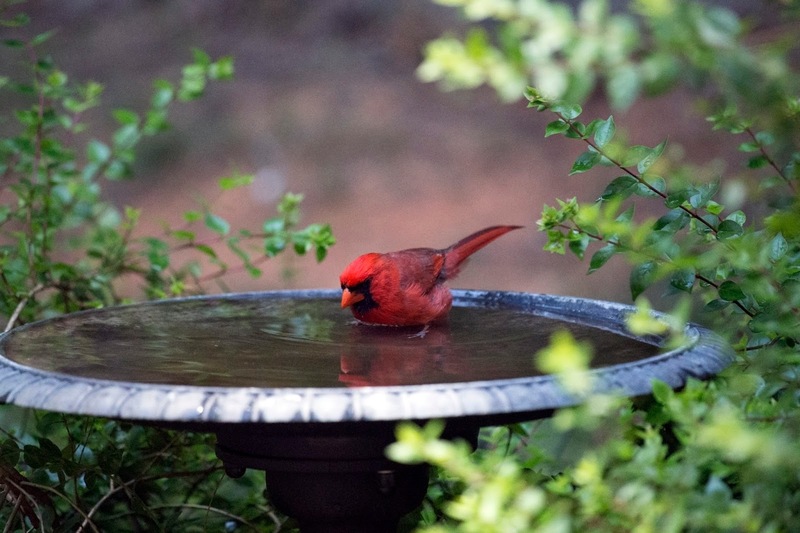 This little red bird is oh so pretty & cute! Awesome photos of one of my favorite birds. Thanks for the invite to join in. HOPE you have a great 4th of July! Great series of photos! Feels like bathing my self! NYC has been way too hot lately! Great captures of an adorable bird! Have a safe and happy 4th! What a beautiful bird and great shot!I am visiting via Minoru's Photo Diary. Impressive. So lovely! Haven't seen a cardinal in ages! A lovely splash of color. Thanks for the link up Sue. 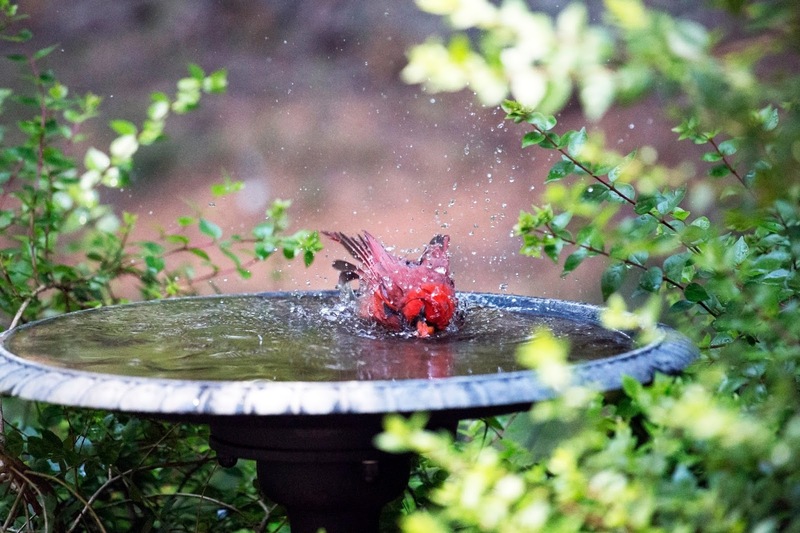 What awesome capture with your pictures of that beautiful bird enjoying his bath. The photos are so colorful. splish splash I'm having a bath! fabulous pics caught perfectly. He looks like he is having so much fun. Have a fabulous week. What fabulous photos, I would never have such luck taking sequence photos!!! Fantastic action shots of that beautiful Cardinal. Beautiful photos. You do a wonderful job in capturing them. Very nice. Thanks for hosting and I hope that you have a nice and safe Fourth and a wonderful rest of the week. 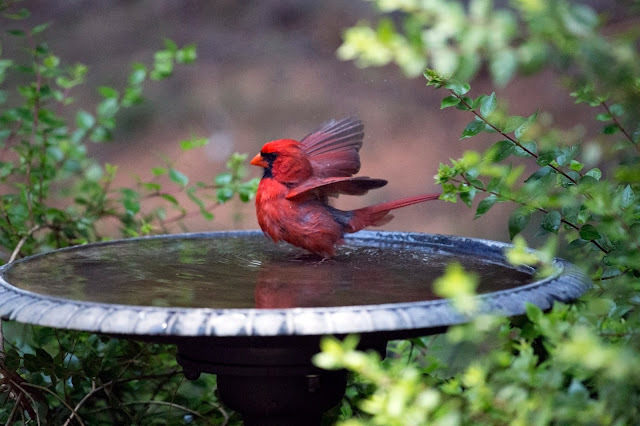 NC Sue, flashy cardinal. Thanks for sharing. Love your photos of the gorgeous bird! 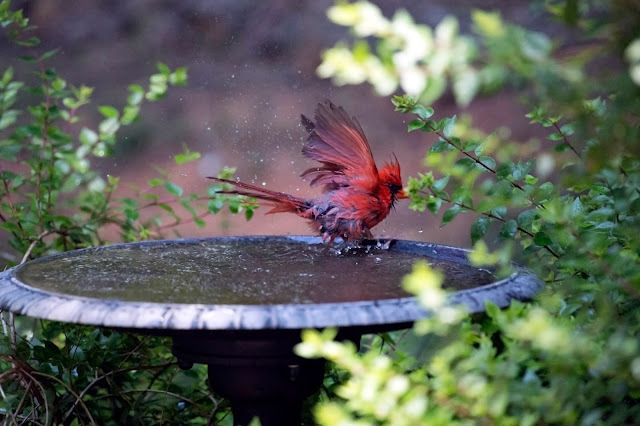 Wonderful series of the cardinal's bath! This is so cute! It is incredible how well you capture movement. Cute little bird in action, clicked so patiently! That's wonderful! I feel like he just put on a little show for all of us! 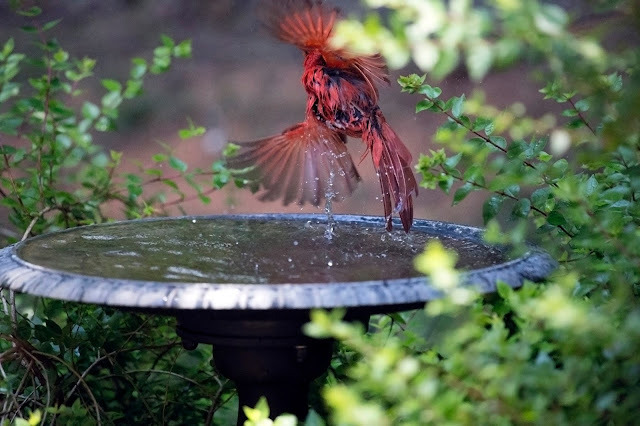 Beautiful Cardinals! Am traveling and relying on iPhone so i am late to the party and all thumbs! Thanks for hosting! What great photos! Grew up in Illinois where they are so common...now that I live in the Pacific Northwest, I never get to see them. Thanks for hosting and a happy ww! Thank you for hosting all this time I've been coming back to visit your linky. I always look forward to your great shots. I so enJOY them. What a beautiful bird and you got some fabulous captures. Wonderful action shots and extraordinary color! What wonderful photos! I love the third one, with all the water going everywhere. Beautifully captured! That brilliant red coloring - wow! Lovely photos! What a cute creature and such an amazing colour!